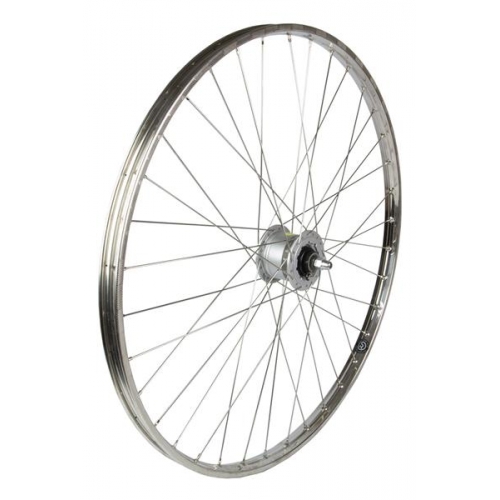 Front wheels with dynamo hubs, 28 inch / ETRTO 622 size. 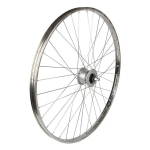 This is the wheel size used on most town bikes, touring bikes and racing bicycles. 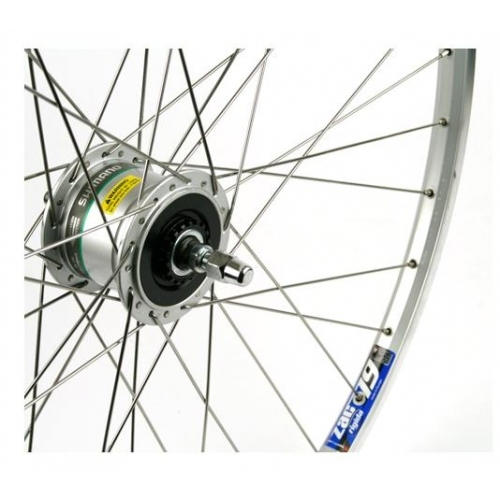 The ETRTO number specifies the diameter of the rim and is found on the side of your tyres (see description). 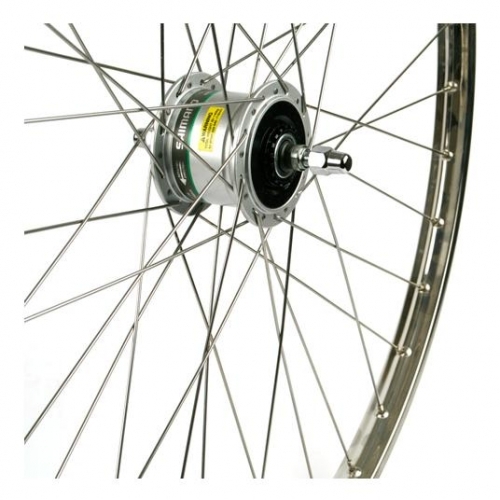 Two different dynamo hubs are available, with and without the mounting for a roller brake. Both types have the same electrical output, 6 V 3 W compatible with all combinations of the front and rear dynamo lights that we sell. 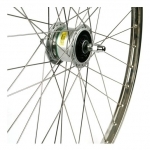 Performance is similar, so the choice should come down to whether you need the roller brake mount. 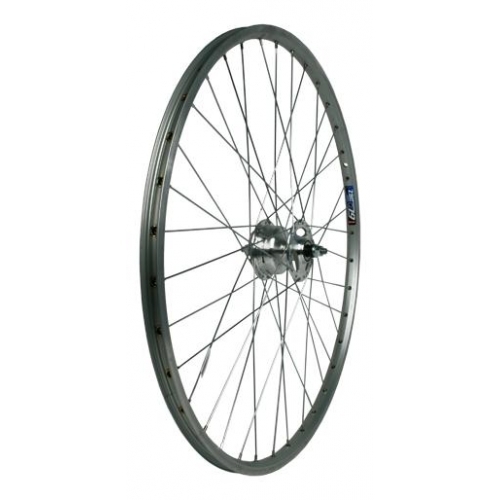 All dynamos, whether hub or bottle, have the same output: 6 V 3 W. Any of our front and rear dynamo lights can be used in combination with one of these wheels, or you can use just a dynamo front light in combination with a rear battery light. See our guide to choosing and installing dynamo powered bicycle lights. You will need to apply rim-tape to prevent damage to your inner tube.